… to deliver affordable, globally accepted solutions. Retlif’s technical expertise in testing and engineering services provides clients with the means to regulatory or customer imposed conclusions, a value measurable through product acceptance and market access. Retlif adds expanded Solar Radiation Testing to growing list of testing services. This testing is in high demand for many of today’s military and defense products. 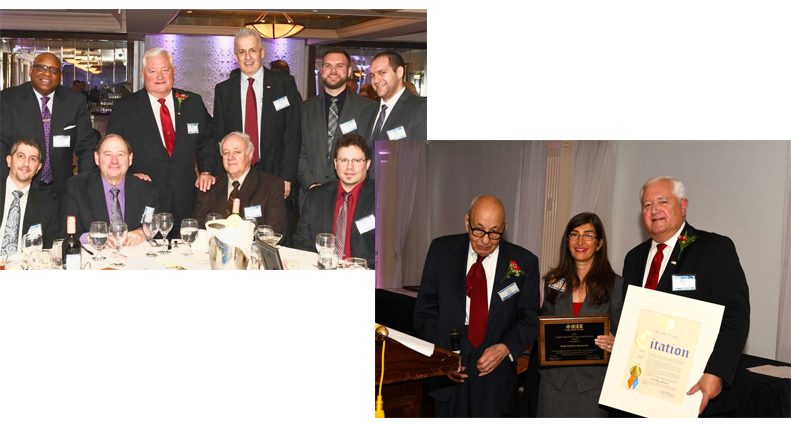 Retlif is honored with Long Island IEEE Section Region One Award for being “Friends of the IEEE”. The honor was bestowed for the financial support, meeting space, representatives and years of active participation in the local IEEE. Retlif becomes the first laboratory to be approved by the U.S. Coast Guard as a sub-lab for the testing of Ballast Waste Management Systems (BWMS). 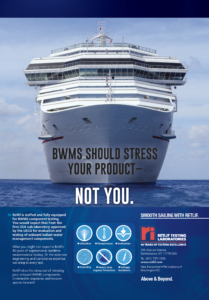 As a sub-lab Retlif enters into partnerships with NSF and DNV for BWMS system approvals. In conjunction with the building and completion of the Composites Prototyping Center, the Retlif Composites Testing Laboratory has been completed within the CPC. The new laboratory successfully went through several industry recognized and necessary accreditations from LAB and from NADCAP. Retlif wins a 2014 James S. Cogswell Outstanding Industrial Security Achievement Award. The Cogswell Award recognizes industrial security excellence. Each year only 26 awards are awarded out of a pool of 13,000 defense contractors. For a medium size company such as RETLIF to win this award is almost unheard of, as the traditional winners are the major defense contractors. Retlif adds a Product Safety testing laboratory within our NY facility. The laboratory has been initially set up to focus on testing in support of the EU CE mark for various product sectors. The NC office has relocated to a 2000 Sq. Ft. industrial “condo” type space. The space consists of five individual spaces and one large 1000 Sq. Ft. “open area”. Plans are for the location to be built out as a pre-compliance EMC laboratory. Retlif enters an agreement with the Long Island Forum for Technology (LIFT) to help develop a Composite Technology Center. Retlif is awarded the Department of Transportation (DOT) contract to be the sole U.S. testing laboratory for EMI testing of Alcohol Detection Interlock Devices. 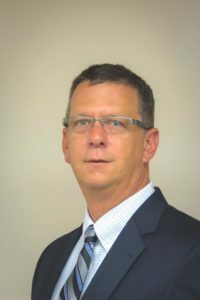 Richard Reitz, Retlif Testing Laboratories Corporate Laboratory Manager, receives the ACIL Preston S. Millar Award. Retlif announced it selection as a Honeywell Aerospace Preferred Engineering & Technology Services Supplier for test services. The Honeywell selection process was an arduous and detailed 12 month review process in which only three laboratories nationwide were selected. Retlif has opened a new 1200 sq foot Engineering and Sales office at the Applied Science Center for Homeland Security in Bethpage, New York. The focus of the center is Homeland Security education and the commercialization of innovative Homeland Security products, especially in sensor technology. Retlif announces the completion of its new rail and transit test center at its Ronkonkoma, NY laboratory. Included in the area is a newly constructed anechoic treated test enclosure, specially designed to serve the rail and transit market. Retlif announces the opening of an Engineering and Sales Office in Charlotte, NC. Retlif acquires Radiation Sciences, Inc. (RSI) of Harleysville, Pennsylvania, adding 15,000 square foot testing facility. Retlif celebrates 25th anniversary with year-long observation. Special events include golf outing, special luncheons and recognition program. Retlif’s President, Walter A. Poggi, elected Chairman of the American Council of Independent Laboratories. Acquisition of 785 Marconi Avenue, a 4,000 square-foot building dedicated to environmental simulation testing. Opening of new Retlif New Hampshire location, over 4,000 square feet of testing space. New accreditations expand scope of Retlif services, including marine fire detection. Retlif receives U.S Coast guard confirmation as approved testing facility. Strategic European alliances ensure acceptance of Retlif data in European market. 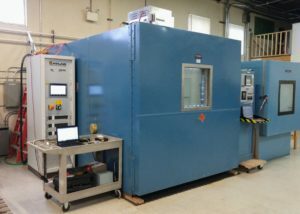 Extensive environmental simulation testing services are added, due to customer requests, including temperature, humidity, vibration shock and acoustic noise services. Canadian DOC approves Retlif to provide test data for Canadian product compliance. Retlif New Hampshire moves to new Manchester facility with 4,000 sq. ft. of dedicated testing space. Retlif’s New Hampshire branch is born. Dedicated test facility in Manchester is over 3,000 sq. ft.
Recognizing the need for international acceptance of test data, Retlif petitions National Institute for Standards and Technology (NIST) to develop first EMC laboratory accreditation program. Resulting program developed under NVLAP Department of NIST is cornerstone of numerous international trade agreements. Ground broken on Retlif’s 4,000 sq. ft. dedicated, state-of-the-art test facility, Ronkonkoma, N.Y.
Long Island’s first computer-based EMC measurement system established by Retlif, at Flowerfield facility. Retlif becomes first EMC lab in American Council of Independent Laboratories (ACIL), bringing twelve other EMC labs with it. Retlif gears up to meet the surge in EMI testing. Staff expansion brings additional engineering and expertise. Retlif opens dedicated field test site. Defense industry expansion creates need for military EMC testing. Introduction of MIL-STD-461B, April 1980. Retlif doubles technical staff and space. 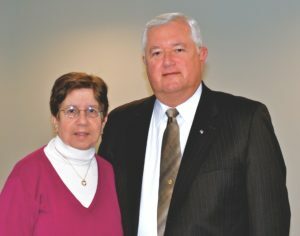 Retlif Testing Laboratories is founded and established by Walter and Marilyn Poggi in St. James, New York. The new company chiefly provides EMC compliance testing to FCC parts 15 and 18. 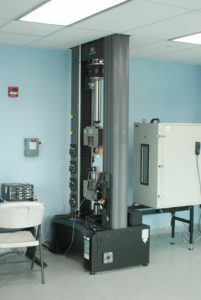 Retlif expands testing capabilities. Broad FCC microprocessor regulations encompassing virtually all computing devices are enacted.